This latest in Wesley Chu’s excellent tale of the Quasing, a bodiless alien race that has to live symbiotically with humans to survive, doesn’t disappoint. 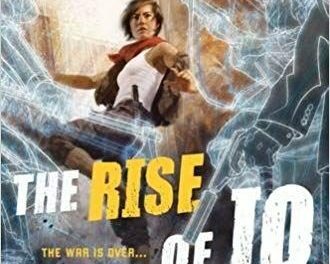 The action flows thick and fast in this adventure – Ella Patel is a young thief and con-artist living in the slums of India, surviving on her wits alone. 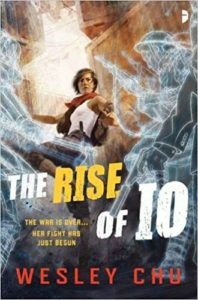 She witnesses a woman attacked and killed near her home, and is in for a big surprise when a sparkling light rises from the corpse and enters Ella, making her the latest host for a Quasing named Io. Suddenly she finds herself an unwilling participant in a war between two factions of Quasing, and as she gets to better know Io, finds herself unable to trust the voice she now hears in her head. Chu’s writing is superb as always, grabbing the reader and thrilling them throughout. Ella’s journey from streetwise urchin to capable agent is believable and poignant – she is an easy character to sympathise with. If you’ve not yet encountered Wesley Chu and the Quasing, I suggest you go and discover his action-packed world that is filled with characters that you can’t help but fall in love with.